Education and skills are a priority for the CBI and they published their latest report Educating for the Modern World in association with Pearson in November. With 71% of their members already engaging with schools and colleges it’s time to leverage the communication. 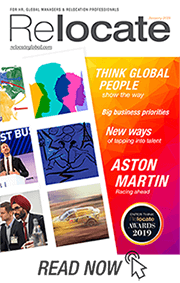 – the must read for HR, global managers and relocation professionals.This year’s survey represented over 28,000 businesses and highlighted the challenge of finding enough skilled people to fill vacancies despite 79% of employers planning to recruit more people with higher skills in coming years. Four in five businesses plan to maintain or increase spending on training but there had been a drop in apprenticeship programmes due to the Apprenticeship Levy. The CBI is to be congratulated on its members’ engagement with schools and colleges at 71% but sadly this was down by 10% in 2017, something they see as a priority to reverse if the UK education system is to prepare young people for the modern world and future roles and the changing workplace. The report highlights the gap between what is taught in schools, colleges and universities and what is valued by employers. Qualifications are important but so too are valuing and nurturing the right attitudes, behaviours and skills. Two in five businesses are not satisfied with the aptitude/readiness for work of applicants (44%) and broader skills such as communicating and problem-solving (38%). Standards of literacy and numeracy are also a cause for concern, with one in four employers (25%) not satisfied. The CBI/Pearson Education and Skills Annual Report reinforces the importance of Relocate Global’s role in connecting schools and education institutions with employers. This will help plug skills gaps and prepare globally minded young people to flourish in the future workplace. See also the Relocate Award categories for 2019.